Welcome to the rebellion. 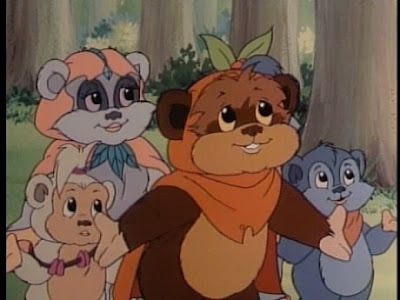 I went absolutely bonkers for this cartoon as a kid, when it aired as part of the infamous Star Wars Christmas Special. 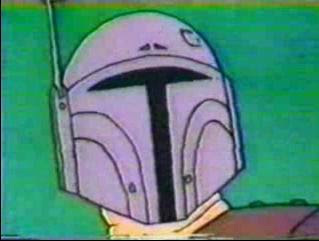 The first screen appearance of Boba Fett was easily the best part of the show. The animated short was like nothing I'd ever seen. 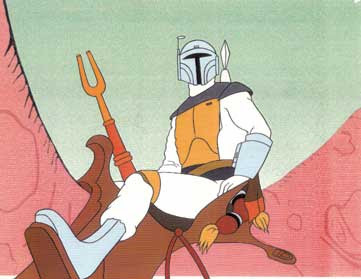 The designs are part ILM/part fairground caricature artist/70's underground comix and it was our first ever look at badass Boba Fett. Even though Boba never actually does anything in this, it was all about the tease. 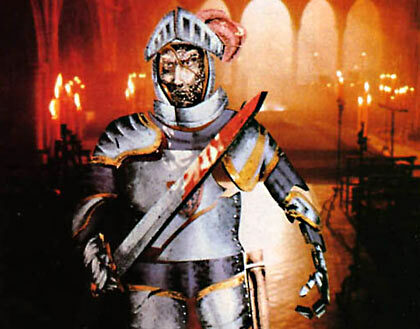 This dude had potential to rival Darth Vader in coolness. 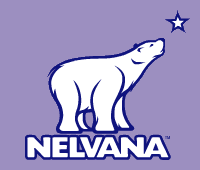 For a young Canuck like me, the most amazing thing was that this short was by by an upstart Canadian company named Nelvana, now one of the largest animation companies in the world. It somehow made the possibility of being connected to that Hollywood/Star Wars universe so far, far way seem less remote. 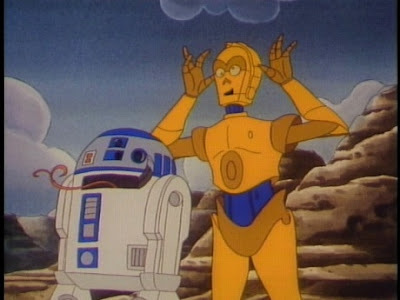 They so impressed George Lucas this short became a precursor to is a precursor to their later Droids and Ewoks series. 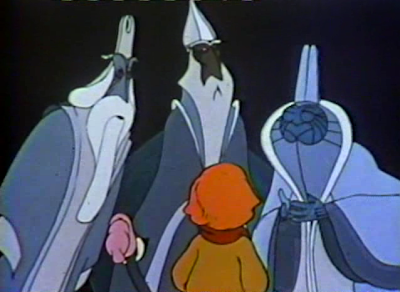 At the time they were making animated shorts in their Small Star Cinema series and moved into really unique, and awesome animated specials like their early Christmas Two-Step, their breakthrough production was A Cosmic Christmas. (Don't believe me? View it here!). 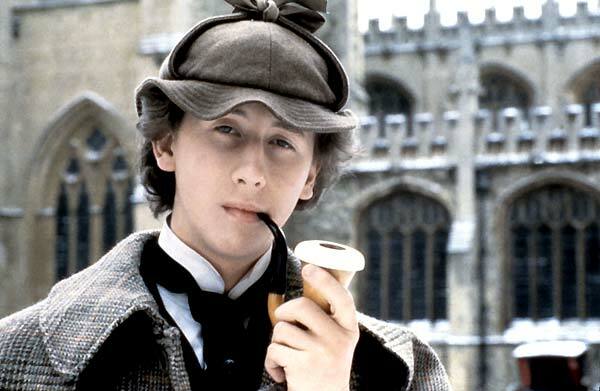 Which inspired their ambitious feature debut, Rock And Rule! 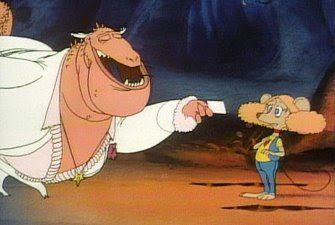 After the Star Wars Christmas Special, Nelvana continued the galactic holiday themed specials with Intergalactic Thanksgiving, Romie-0 and Julie-8, Take Me Up To the Ball Game and the not so sci-fi Easter Fever (the very first animation voice credit for Maurice LaMarche: voice of "The Brain" from Pinky & The Brain!). All fun, unique specials. 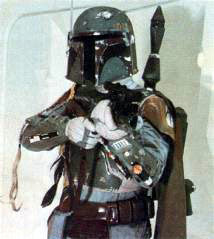 But this really is about Boba Fett. He's a man of few words but we'll give him the last words today. Our rebel entertainment spies have the straight scoop on upcoming Holo Transmissions from the Imperial Networks. It gets pretty cold out in space. 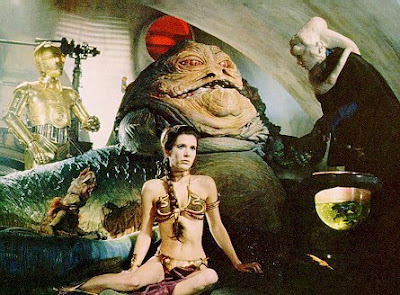 Makes a Hutt want to curl up with his favourite, dancing, slave girl by a roaring, nuclear furnace and chillax a while. 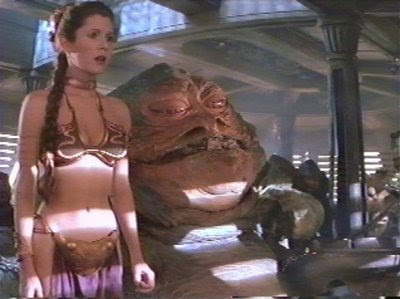 If you want to get your fetching, fettered thrall into the mood why not skip the will-dominating cocktails and Jedi mind tricks for the month and take advantage of Chick Flick Month, currently running on Oprah the Hutt's female-skewing Oxygenesis Holo Channnel? 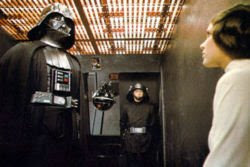 Host Darth Vader welcomes his special prisoner... er, guest, Princess Leia Organa, whose extended interrogation reveals not only where she sent the plans to the Empire's new Death Star weapon, but also her personal, top choices for favourite cinema classics. 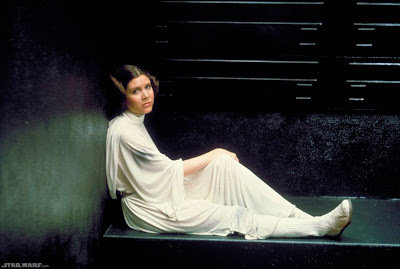 Every week night, the battling Skywalkers will be airing a beloved tear-jerker, a warm-hearted, laugh-because-it's true comedy, or a female-empowering, ball-busting personal manifesto with plucky female protagonists to help pass the stark, hopeless hours spent isolated in Cell 2187, Detention Block AA-23. Last night they kicked things off with the ten-hankie Terms of Enslavement. The rest of the week serves up Sith Magnolias, Brief Close Encounter, The Devil Wears Blast Armor and Runaway Jedi. Who could hate Monday's when next week's line-up kicks off with Breakfast at Tarkin's, Dune Sea Beaches, Under The Tatooine Sun, Bridgit Jones' Hologram, and a Friday double feature of All About Evil and Little Wookiees? The following week brings us A Pod With a View, Educating Leia, Divine Secrets of the Ya-Ya Sithhood, Looking For Mr. Goodjedi and a special screening of the juggernaut, three-hour Gone With The Plans on Sunday evening. Oxygenesis brings the month to a close with a final week of The Way We War, Fried Green Tauntaun, My Big, Fat Hutt Wedding, Four Sequels and a Funeral Pyre and finally, You've Got Sub-Space Chatter. That's a lot of chick flick points you'll have accrued next time you're picking movies at the Cineplex. But don't watch too many with her or she'll think you actually dig movies where nothing explodes and nobody gets blasted. For the next month avoid embracing the Dark Side. When you are confronted with a choice, any choice, that may lead you toward behavior that will diminish your view of yourself and make you feel less than the terrific person you are, make a better choice. Not the best choice necessarily. Just a better one. It could be a a small tart or fruit for dessert rather than a hunk of cake. Or simply choosing not to spend fifteen minutes on blah, wasted internet surfing and going outside. Celebrate the small victories and the larger will become more possible. May your New Year be filled with grace, change, passion, creativity and love.